tawrid.net at Website Informer. Tawrid. Visit Tawrid. 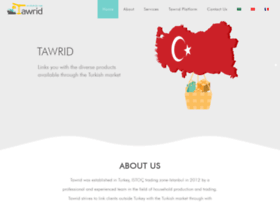 Tawrid was established in 2012 Turkey, ISTOÇ city-Istanbul, by a team with long experience in the field of shopping, sales and e-commerce.